golfish wrote: Fellas, didn't we have a phone number to one of the higher ups in CS? It's seems like his name was Mike. I'm sure that number was posted here more than once. Aren't you the fellow that posted it? I thought I had bookmarked it but must not have done it as I don't see it. Archer wrote: I had some additional thoughts but the automatic log back in ate them. I've noticed you say that a couple of times. If you are going to type a long post or leave it for a bit, be sure you use the full editor and "Preview" it on a regular basis. I don't use the "Log me on automatically each visit" checkbox either, but I use the full editor window and God knows I type some long posts but use the "Preview". I don't loose any. Sometimes, but sometimes it disappears completely. Usually happens late or when I've been called away from the machine. I'll typically log back in when that happens but once in a while I get tagged. 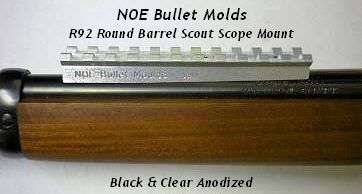 I made my monthly call to Rossi today to see if my "back-ordered" replacement barrel was in yet. Same answer: NO, and "we don't know when these are supposed to come in." It is FIVE MONTHS now I have been waiting. It's NOT ATF's fault, but is 100% third world bullcrap. What the heck kind of firm imports ANY type of product spares and doesn't even have an MRP system that shows how many are on order, and when they are due in? I hate Rossi. Never, ever again will I own one. I'll pay DOUBLE for an American-made rifle if I have to - a Henry or Marlin. Having a dead rifle that is totally worthless...what amount of $$ and frustration does that add up to? Quite frankly, I'd say up until the past 10-15 years MOST imported firearms have been hit or miss with the possible exception of relatively major producers from parts of Europe. In particular Beretta and CZ have been particularly good the past few years and that's largely a result of Beretta having facilities and production of some models INSIDE the U.S. and in the case of CZ the fall of the iron curtain. Most of the major German companies have been good but supply/availability and spares have run hot and cold and I think Walther has gone through several U.S. importers over the years. At present I'd recommend Henry. I'm afraid you may find that once a model is no longer in production, no matter if it is produced inside the U.S., Western Europe or 3rd world that spares may rapidly dwindle and dry up. Inside the U.S. the tax structure does not reward companies for having spares on hand and the just in time manufacturing methodology means there are fewer extra parts available in general. I know for example that spares and rebuild kits for bicycle parts have been getting harder to find and companies will often either not maintain spares or will run a certain amount that they think will take care of the warranty period and when they are gone they are GONE. Smith & Wesson claims they will no longer work on firearms older than a certain date. Marlin and Winchester aren't the companies they used to be - literally! Even Ruger claims to be out of spares for several of their models in spite of a reputation for keeping their products running forever. Ruger generally reproduces most parts in lots so they're not always available but usually come back with exception of recalled parts. Having an old Rossi means I always expected to struggle finding parts and mine was never under warranty since I've owned it. That being said I feel for those in this boat. I hear you TH. I think if I were in your shoes, I would just part it out but that is me as I don't live with frustration, from any source. I would totally strip it and sell the parts on eBay. I will cut the receiver in half and send it back to Rossi with a note. There would only be two words on that note. If I was a just getting into leverguns, I would be a Henry guy. Ranch Dog wrote: There would only be two words on that note.